We were a lot more excited about this project before "RED" came out, but there's no point in giving up now. Zach Galifianakis is negotiations to join Ryan Reynolds in the big-screen adaptation of the comic book "RIPD" ("Rest In Peace Department") for "RED" screenwriter-turned-director Robert Schwentke, reported Variety. Reynolds is set to star as Nick Cruz, a cop murdered in the line of duty who agrees to join God's police force in return for a chance to catch his killer. Galifianakis would play his partner, a veteran of the force dating back to the 19th century. Schwentke was hired to direct, based largely on his adaptation of the Bruce Willis, Helen Mirren, Morgan Freeman, and John Malkovich geriatric action film that, unfortunately, turned out not to be half as good as its trailer. 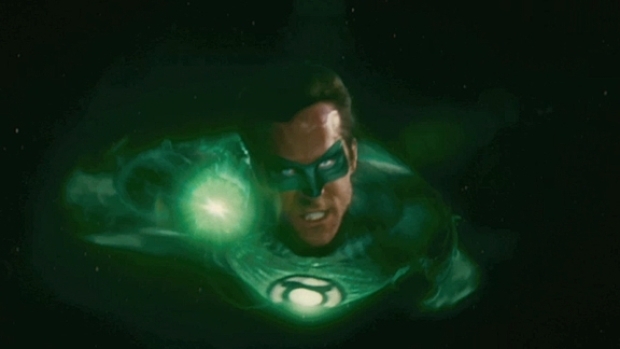 Flyboy Hal Jordan (Ryan Reynolds) is selected to be the first human to join the Green Lantern Corps, a group dedicated to defending the universe from the threat of the Parallax. Opens June 17. Reynolds will next be seen June 17 in "Green Lantern" and Aug. 5 in "The Change-Up," while Galifianakis can next be seen May 26 in "The Hangover Part II," and Nov. 23 in "The Muppets."